Just a little progress update. I've been working hard on the next release; 0.75. Eventing to the end of chapter 5 has been completed, so that's now 5 whole chapters of gameplay. I've now been fixing a bunch of bugs the last release brought out. I have done much of the mapping for chapter 6 and am planning to include it in the 0.75 release. It's gonna be a pretty meaty release, over 1 chapter of content, atleast 1 hypervisor battle, and a few new mechanics coming into play! Mid-March is likely when it's coming out. 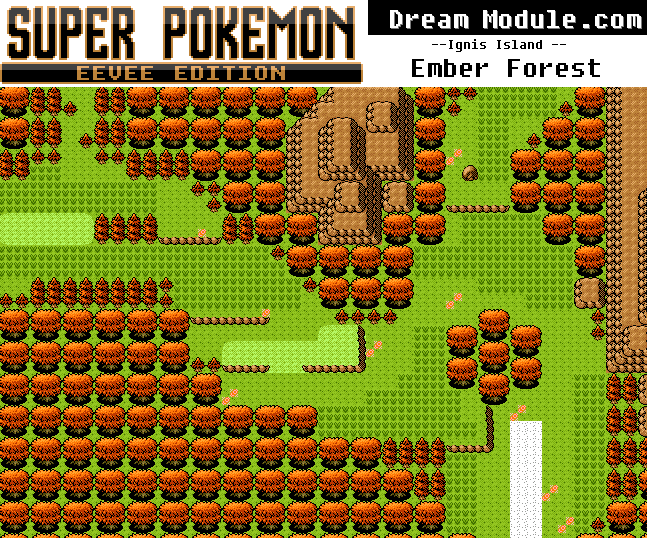 One of the new areas you'll get to explore soon is the Ember Forest. It is filled with fire and bug typed Pokemon.